Use TrafficMASTER Luxury Vinyl Plank Flooring to add the warm, comfortable style of real wood to your interior living space. This highly durable, water-resistant flooring is great for use in basements, kitchens, bathrooms and high traffic areas. The floating floor installs over most existing surfaces including concrete, wood and vinyl with no floor preparation or adhesives required. It offers a patented GripStrip design for simple installation. For use indoors and in temperature-controlled environments only. Perfect in high moisture areas basements, kitchens, and bathrooms. The G-Floor Cover and Protector is manufactured from tough, specially formulated polyvinyl that is resistant to most contaminants commonly found in garage and work environments. Fashioned with parallel ribbed channels for superb debris and moisture management. This covering helps prevent concrete deterioration, hides cracks and stains, prevents new stains and creates a moisture barrier. Easy to install, just roll it out and trim with a utility knife if needed. Use one mat for single-area protection or multiple mats to provide wall-to-wall coverage. G-Floor is 100% high-quality polyvinyl, not layered with filler material that can crack, split, peel and deteriorate. Tough enough to be used in the garage, attractive enough to be used anywhere: basements, laundry rooms, trailers, vehicles, workshops, warehouses, exercise rooms, offices and utility rooms. Brushed Oak Taupe 6-inch x 36-inch Luxury Vinyl Plank Flooring (24 sq. ft. / case) Use TrafficMASTER Luxury Vinyl Plank Flooring to add the warm, comfortable style of real wood to your interior living space. This highly durable, water-resistant flooring is great for use in basements, kitchens, bathrooms and high traffic areas. The floating floor installs over most existing surfaces including concrete, wood and vinyl with no floor preparation or adhesives required. It offers a patented GripStrip design for simple installation. 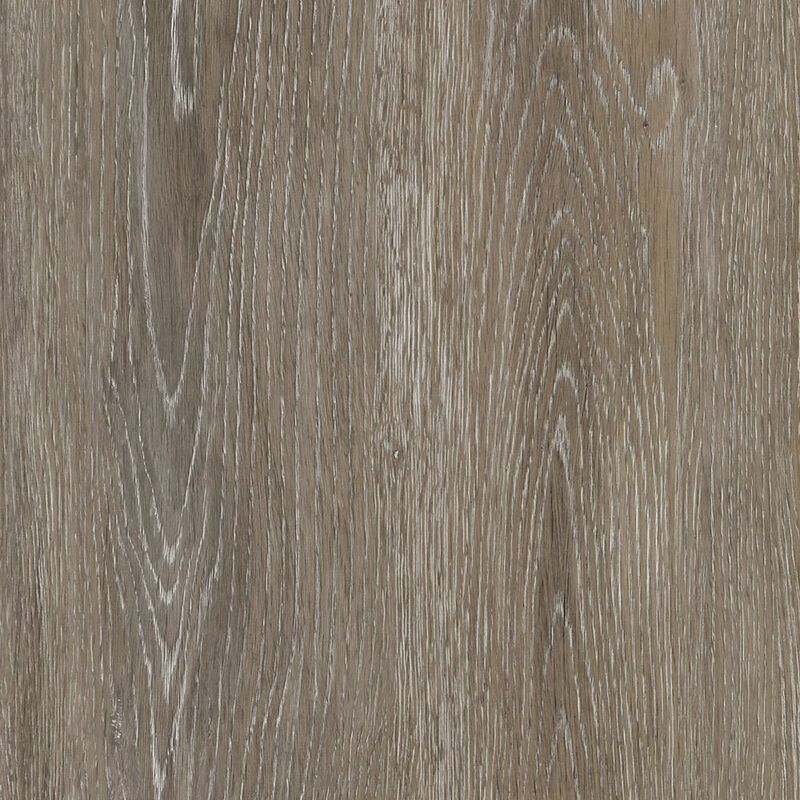 Brushed Oak Taupe 6-inch x 36-inch Luxury Vinyl Plank Flooring (24 sq. ft. / case) is rated 4.5 out of 5 by 333. Rated 4 out of 5 by HomeDepotCustomer from Hard to back lay but otherwise good product.... Hard to back lay but otherwise good product. Rated 5 out of 5 by plumber kyle from good cheap solution cheap (on sale), easy. did the entire house with this stuff 2400 square feet total. worked great up stairs to cover the 5 different types of flooring. instructions lied about how you are able to peel apart floor plank to readjust it will rip the plank or best case the sticky film peels off, so keep some supper glue close by. Rated 5 out of 5 by Dan from Easy to install. Looks great!... Easy to install. Looks great! Rated 4 out of 5 by yme from Product is beautiful and installed easy. I have put this floor in several houses. The only thing ... Product is beautiful and installed easy. I have put this floor in several houses. The only thing is the underlayment needs to be completely flat. Rated 5 out of 5 by Reilly from Looks amazing in our rental property. Super easy to lay... Looks amazing in our rental property. Super easy to lay too! Do you need underlay under this or is it already attached to the back? Thanks for your question. This does not have an underlayment and you cannot use one with it. It gives the plank too much cushion and will cause gapping. You need to use a 6 mil poly as a moisture barrier over concrete but nothing else can be used under these planks. Can this be layed in an add a room on my trailer? It's not heated in winter but inside and protected from the elements. This flooring would be perfect for your trailer. It's amazingly attractive and so easy to install. If the baseboards are tight with an invisible caulk all around the edges it's an excellent, water-tight floor. Does this floor have a rough surface? My dog is old and has a hard time walking on smooth surface. Will this flooring have some grip for her? Thank you for your question- This product has an Embossed Surface texture. Can an electric heat system like your &quot;True Comfort 120V Floor Heating Mat&quot; be used under this floor? Also, when applying over concrete is there an underlayment that is reccomended? You would have to check manufacturers recommendations on under pad heating. If I was going to put this on concrete I would use a subfloor and then apply flooring. Otherwise it would be cold to walk on. I am installing this on dri core in my basement. What underlay is recomended? We laid this product right on our cement floor (garage turned suite) no basement and it is fabulous flooring; wearing well and no issues at all. Really happy with it! Can I install this flooring over a thin underlay for a little extra thickness and comfort on a plywood subfloor? Yes we used regular underlay and it still fit great and gave it a little more comfort.